Lately, I have been living in fear, guilt and pain. I feel so down, I am losing hope and I wanted to give up. But after watching Miracles from Heaven, I felt better. Daddy is right. This is the best movie to watch for those who are losing hope and faith in God. The movie will remind us that we are not alone. God is everywhere and He is with us. 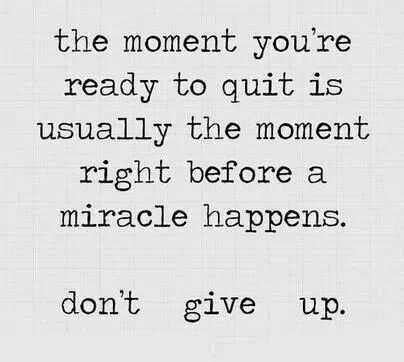 So when you think you reach the end and are just about to give up, read this first. Because miracles happen everyday and everywhere. Just keep the faith. 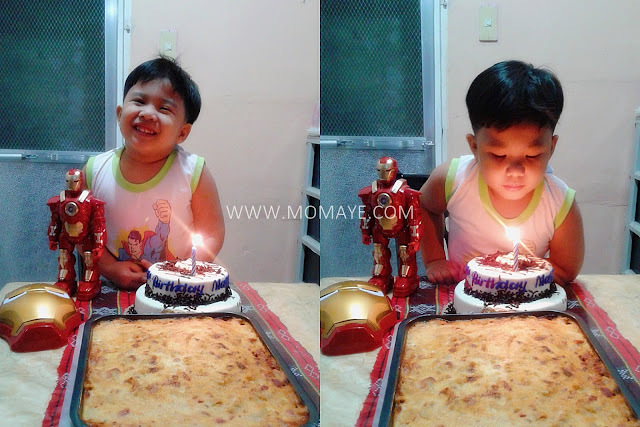 Last Thursday, June 16, our Matthew Andrei celebrated his 6th birthday. Compared to previous years (Check these posts: Matthew Andrei's DIY Spiderman Party, Matthew Andrei's 4th Birthday), we decided to not have a party at home. As you already know, we had been in difficult situations the past weeks and there’s a huge financial expenses that comes with it. But God is so great, he blessed us with financial opportunities that we were able to organize a mini party at his school ( as he wish to have). 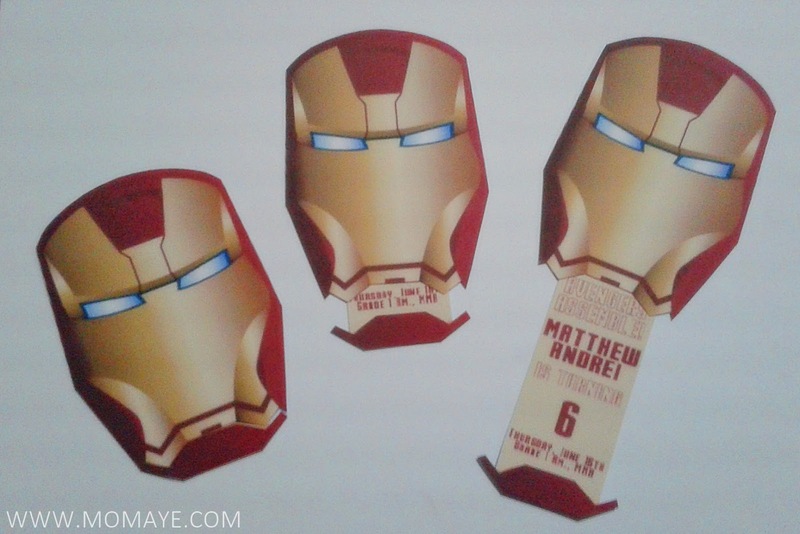 I made this personalized Iron Man invitation I saw here. The night before that, Daddy and I were both busy. 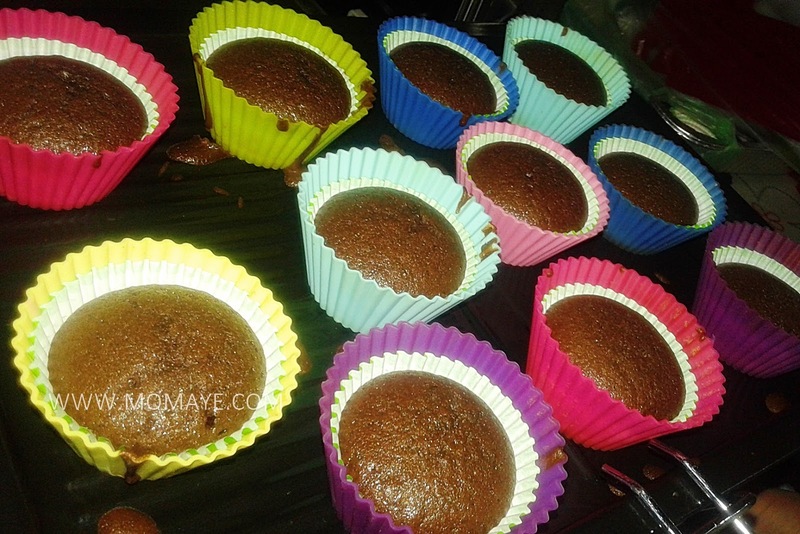 Daddy is baking little cupcakes. 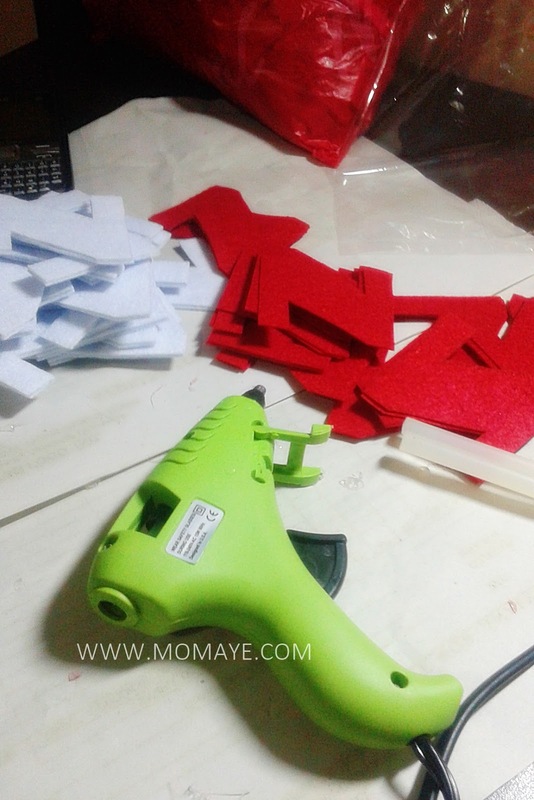 While I am trying to finish this bulk order we received. We planned to wake up really early the next day. But because late na kami nakatulog medyo nalate na din ng gising. 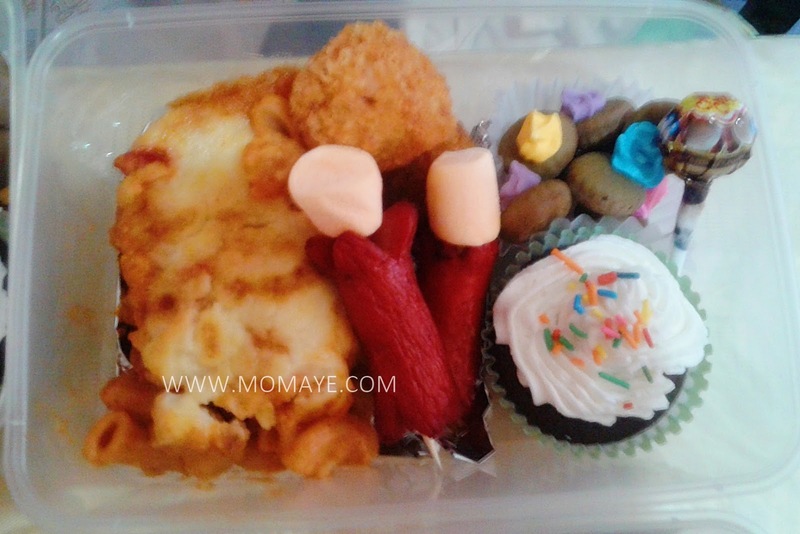 We started to work on the party bento. 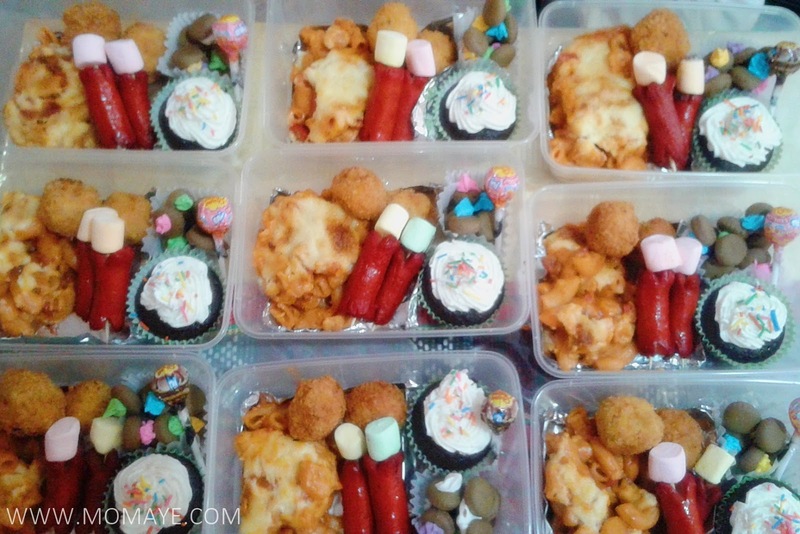 Daddy cooked the chicken balls and hotdog, while I cooked the macaroni and spaghetti sauce for the baked macaroni. Kami lang kasing dalawa and that’s another reason why we don’t have party at home. 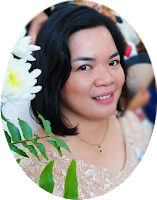 Unlike the previous years when my in laws or my sister will came over to help us with the party. Before anything else, here's the birthday boy before he went to school that morning. He chose that red polo shirt. 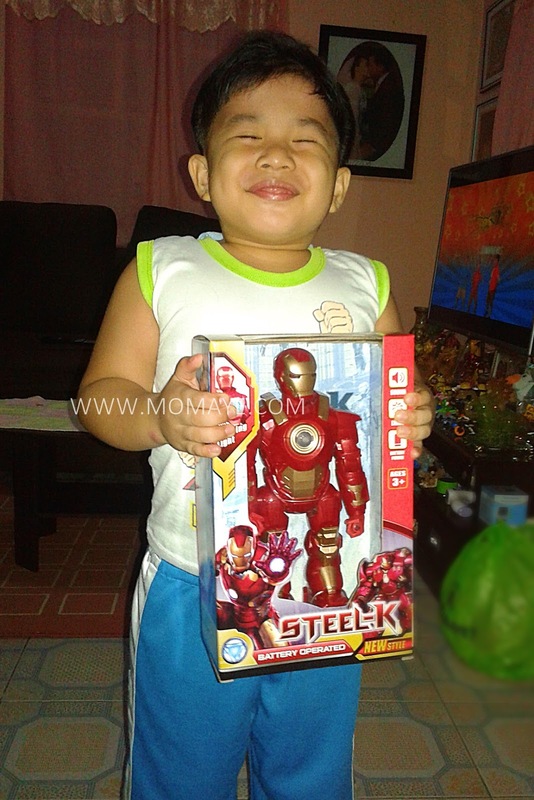 Magre-red daw sya and I don't know from whom he got the idea na magred kapag birthday, hehe. 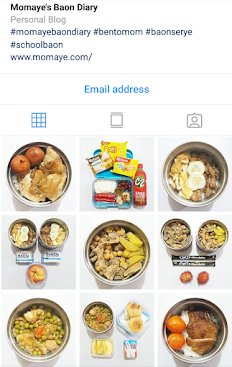 Anyway, we prepared bento meals na lang. 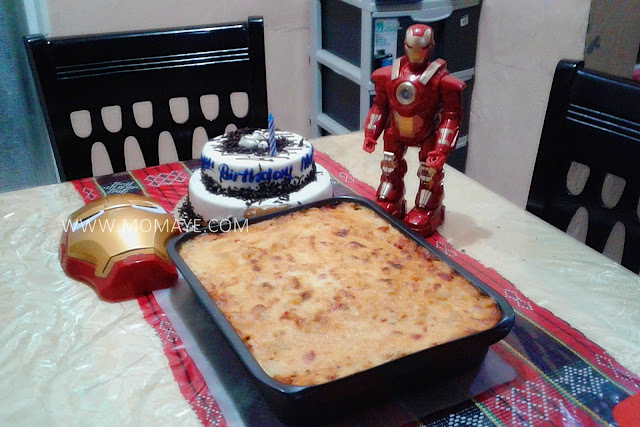 Initially, Iron Man theme sana but since we were busy hindi na kami nakagawa ng Iron Man face to put over the baked macaroni. Okay din naman, they look good at least for me. Hehe. 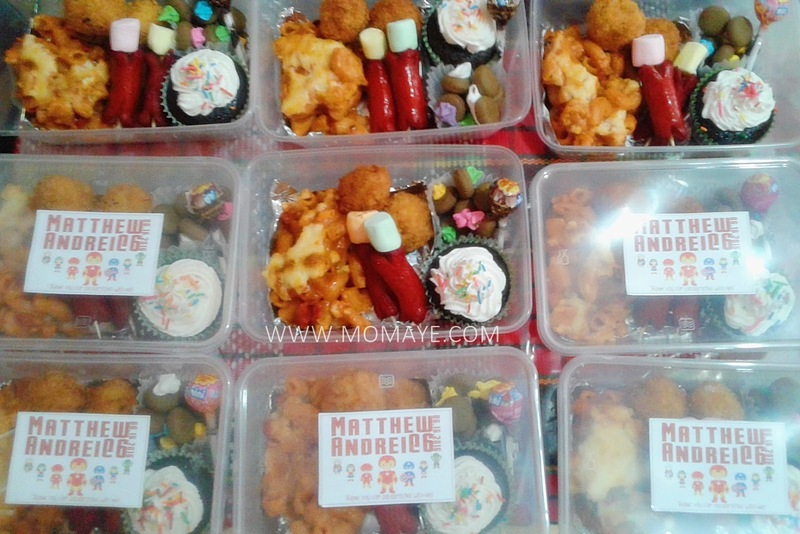 The bento meal includes baked macaroni, chicken balls, cocktail hotdogs with marshmallow (as requested by Matthew), mini cupcake, a cup of chocolate ice gem and a lollipop. I designed and printed out this sticker. 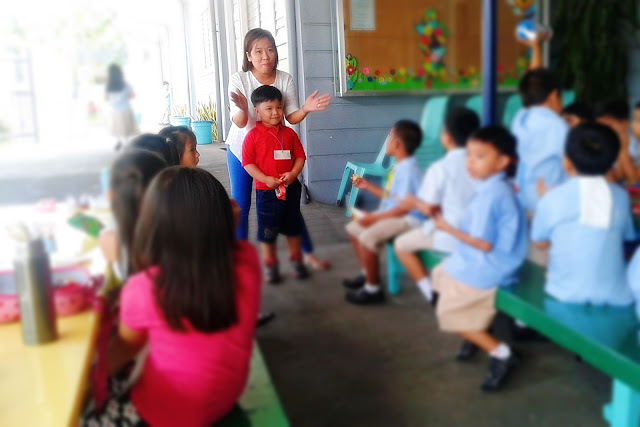 We rushed to his school na malapit lang sa amin and I can hear Matthew calling us already. 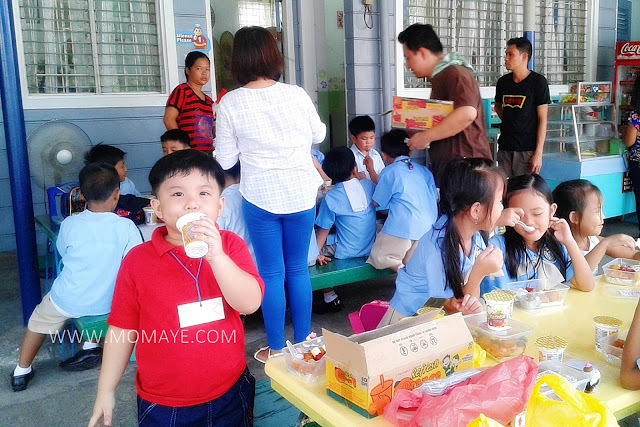 Medyo nalate kami ni Daddy e. Some of his classmates were already eating biscuits na. Nonetheless, our little boy was so happy when they sang the Happy Birthday song. 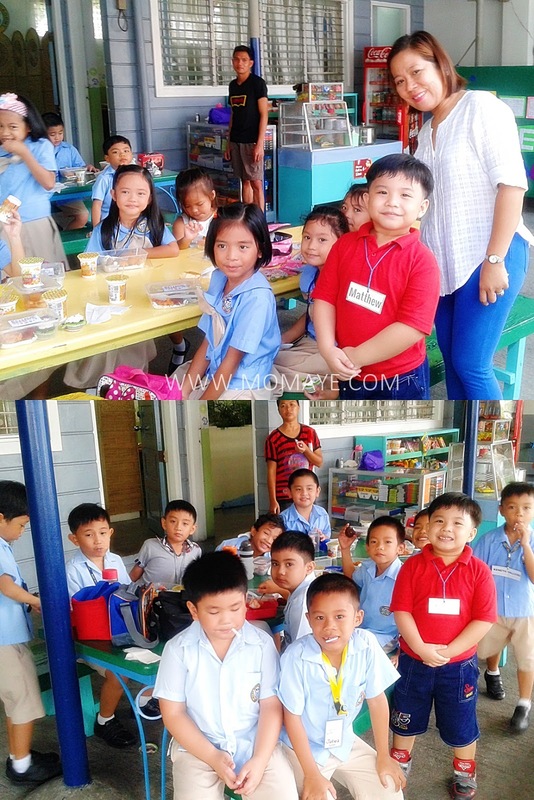 He happily had some photo with his classmates. We bought party hats and balloons too. Kaya lang we didn’t give the hats na since they still have class after. Also, Daddy had not finished with the balloons yet. Sabi ko after class na lang distribute ang balloons. His classmates were so happy when they receive the balloons. 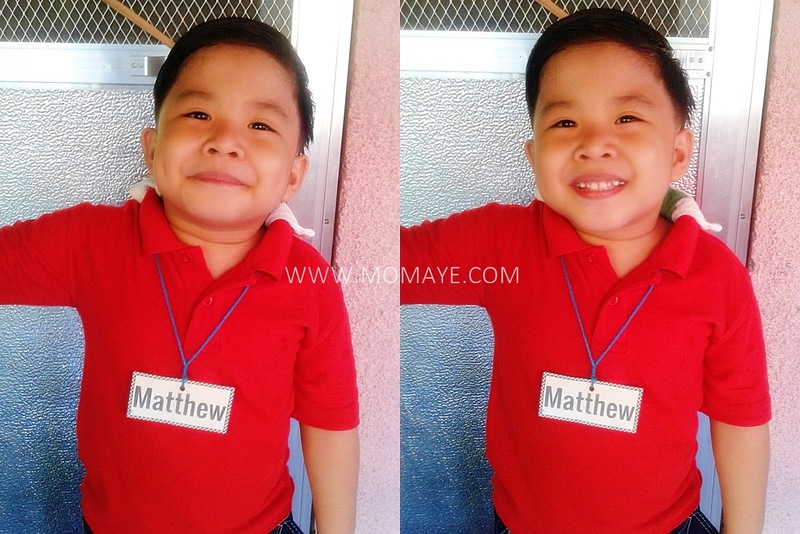 There’s a mom saying pa daw, “Andun sa si Matthew pinagkakaguluhan!” Haha! 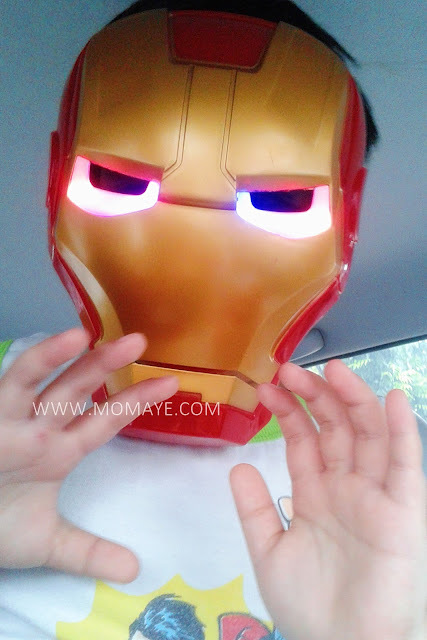 When he went home, we gave him this Iron Man mask. We told him to sleep before we will give this second gift. Kaya lang he refused to sleep. Excited siguro. 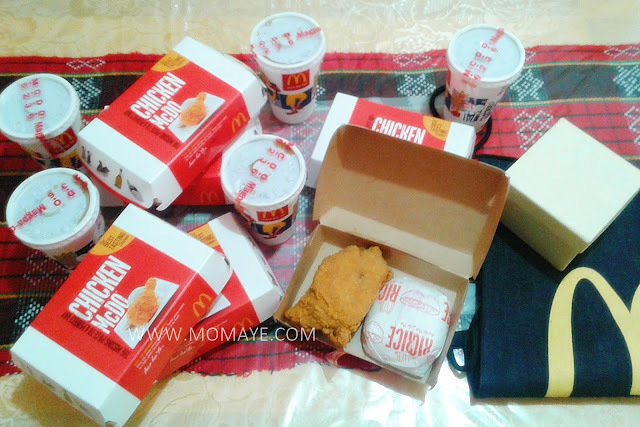 Then that night, we had a mini dinner at home. Of course, his birthday will never be completed without a cake from Red Ribbon. Matthew was so delighted. 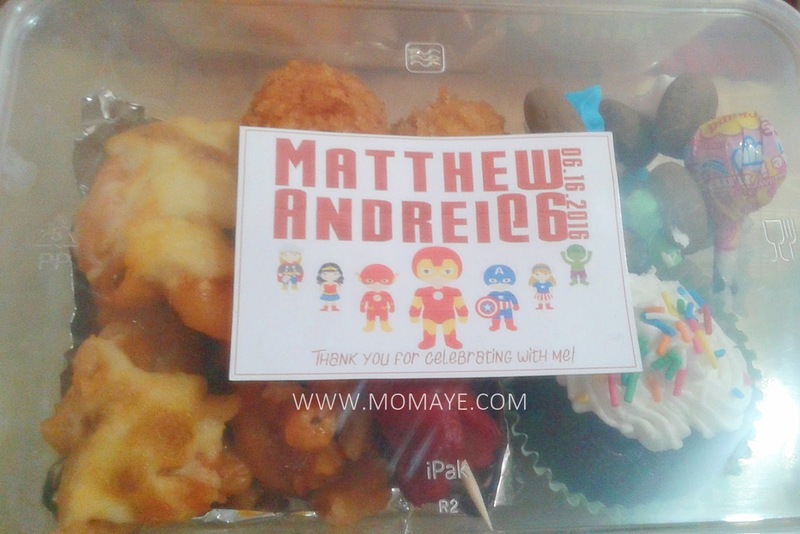 Especially when he received this from his Tita Mare. 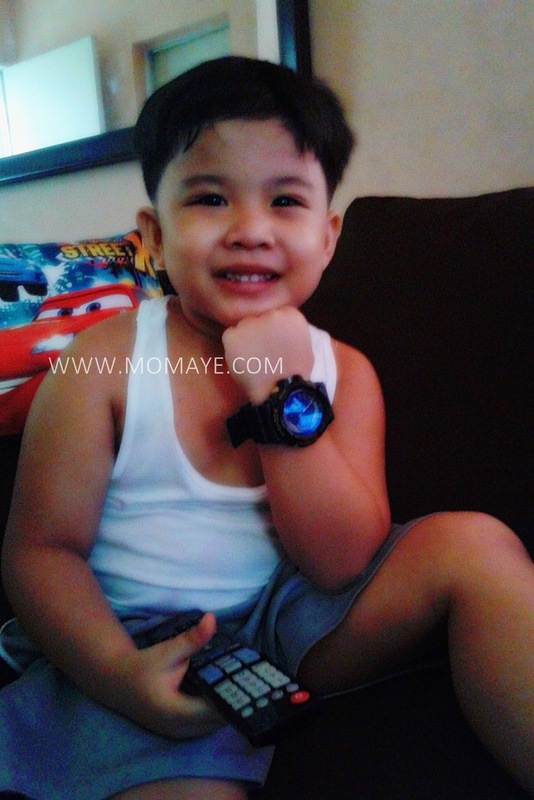 And this watch from Papa and Mama. We were also happy that we made his day extra special even without throwing a big party. I am glad that our little boy appreciates anything you give him. 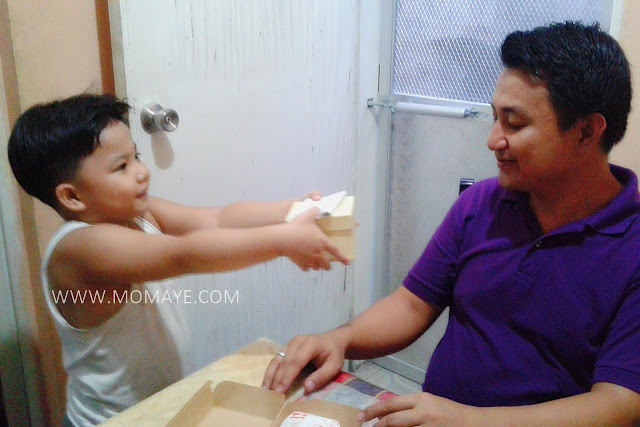 Big or small, expensive or inexpensive happy na sya by just receiving gifts from people. Anak, please always remember that we love you. Don't be afraid to explore the world and show everyone who you are. 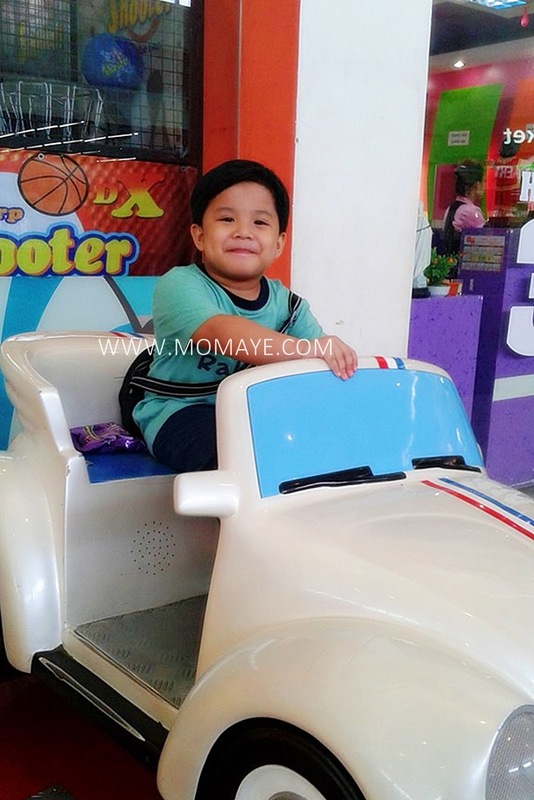 I am happy and also sad at the same knowing you are growing to be a very independent boy. Still, you can't sleep without me at your side. But I know that will not take long so I will cherish every moment of this. 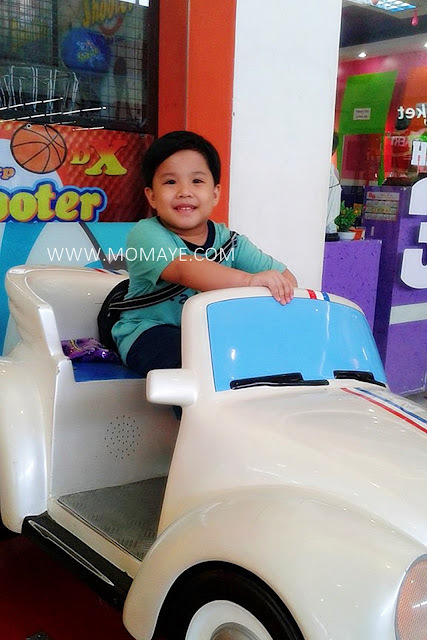 Thank you Lord for keeping our little boy always healthy and happy. May he grow to be a man of God. The day before Father’s Day, Daddy Allan had his early treat from McDonald’s. They sent us this Father’s Day surprise gift for him. 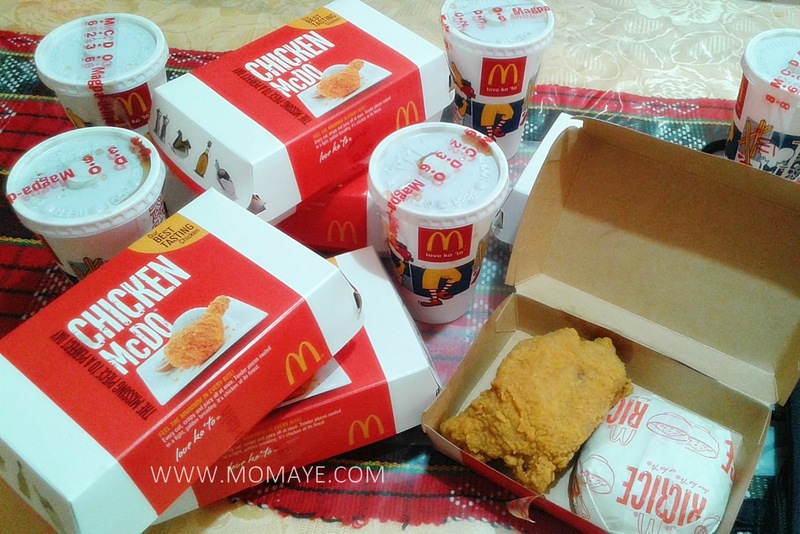 They also sent over 6 Chicken McMcMcDo Meal. 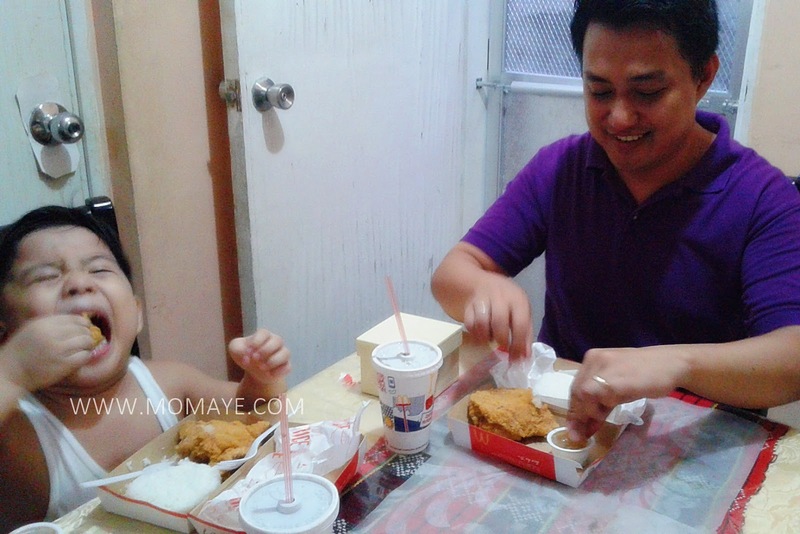 Naku Matthew was so happy to see his favorite chicken. Wala pa si Daddy gusto na nya kumain. 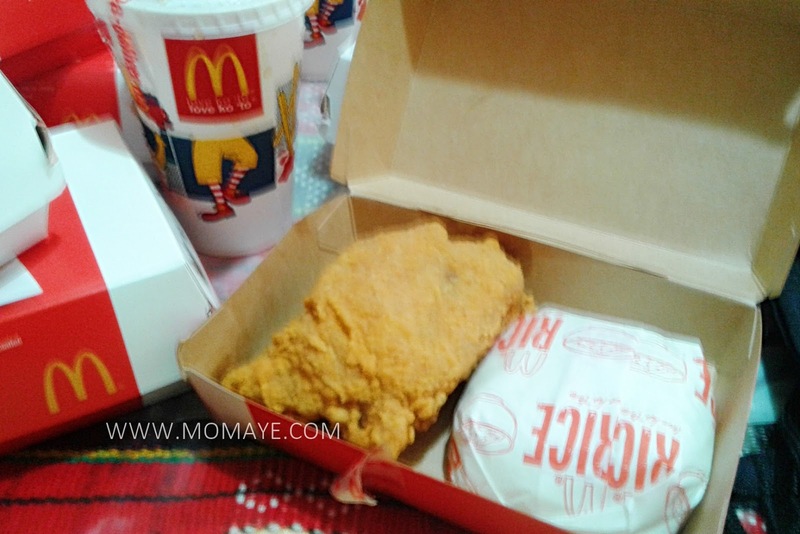 Well, I can’t blame him naman look how yummy Chicken Mcdo is and ang laki ng cut. It’s juicy and crispy in every cut! Then surprise! Daddy opened the box. Daddy was of course so happy. Matthew also gave this artwork he made at school. And gave Daddy a big hug and kiss. Syempre kainan na! Papahuli ba itong dalawa, haha. They had so much fun eating the Chicken McDo meal. We had a full tummy after. 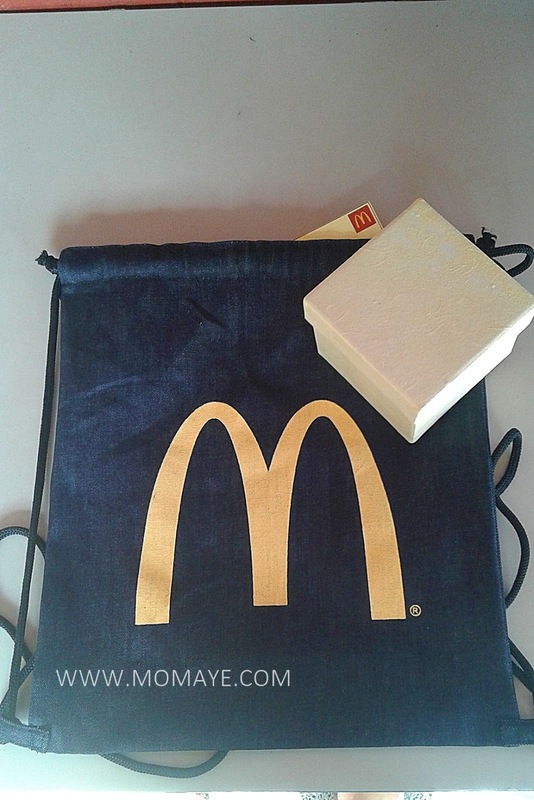 Thank you so much McDonald’s for always making occasions like this extra special. 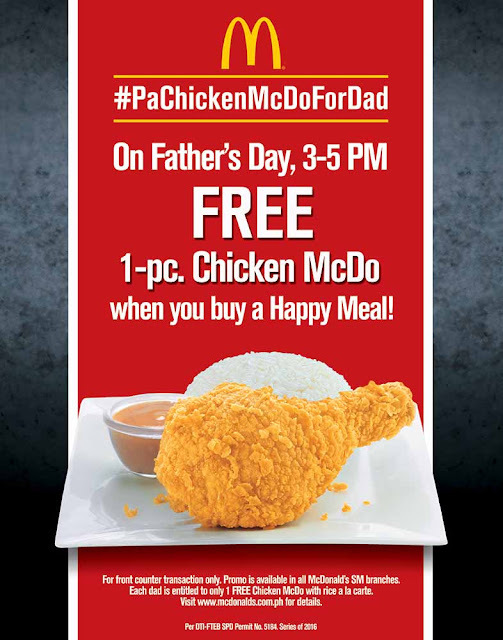 Have you treated dad to Chicken McDo on Father’s Day? 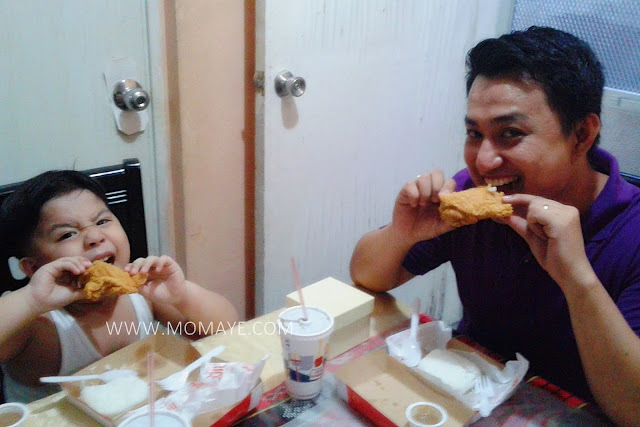 Share your special moment by using the hashtag #PaChickenMcDoForDad and tagging @McDo_PH on Twitter and Instagram. 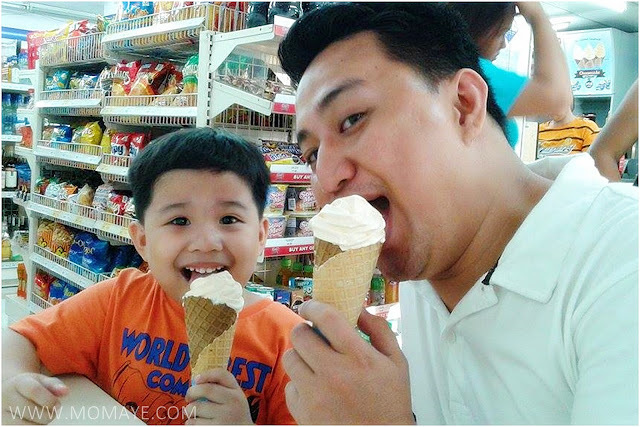 Happy Father's Day again to all the dads, papas, tatays, tatangs in the house! Especially to our man, Chemist Dad! We love you Daddy A! Hello everyone! Today is a very special day to honor the man in the house. It’s Father’s Day! Have you greeted your father or your husband already? What’s your gift or have you gotten them gift already? If not yet, let me share these great gift ideas you can only find at S&R Membership Shopping. Daddies are working hard guys right? 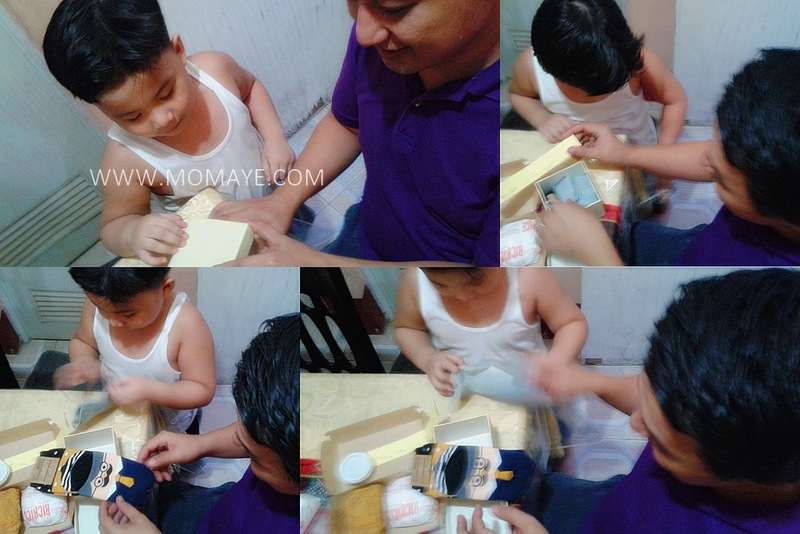 Minsan o madalas nga they needed to take home paper works, just like Daddy A. So these wheeled chairs are great gifts for them. 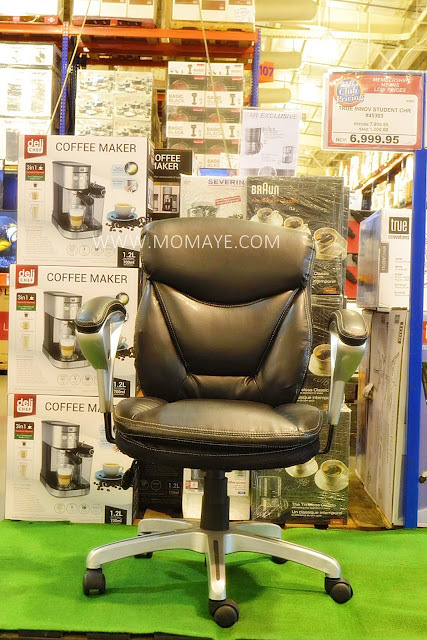 Make him feel like a boss with this Dormeo Octa Manager’s Chair #45774 at Php 9,999.95. 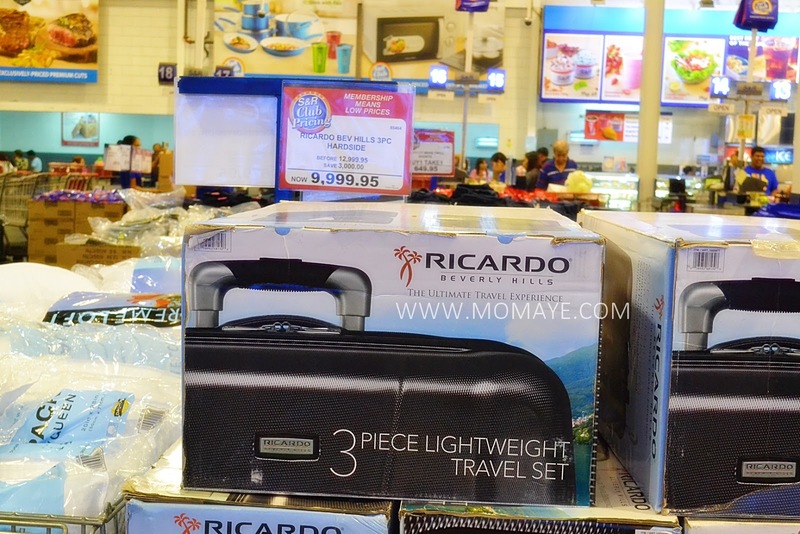 If your dad or husband naman travels a lot, this Ricardo Beverly Hills 3pc Hard Slide Travel Trolley Set at Php 9,999.95 is a perfect gift. Look! 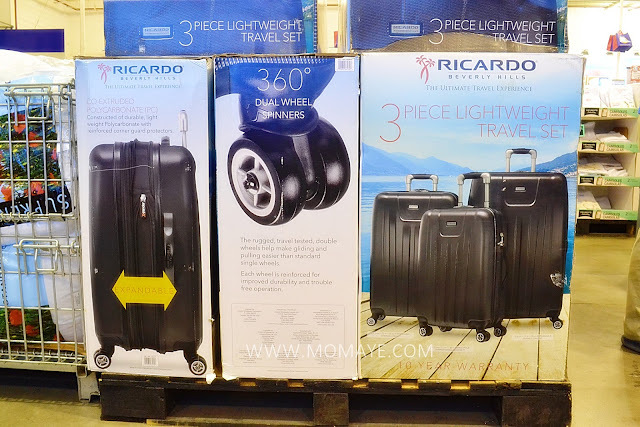 It’s expandable, has 360 dual wheel spinners and has a 10-year warranty pa! So great right? 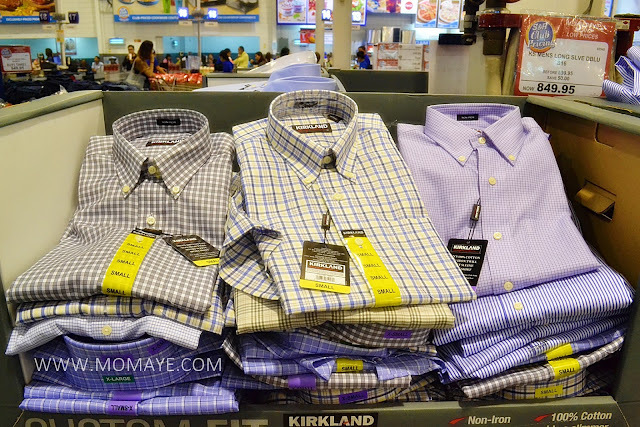 Now, for daddies who works at the office or often go to seminars naman, here are nice long sleeves you can buy then as a gift. This V1969 Men’s Long Sleeves at Php 599.95 each comes in pastel colors. 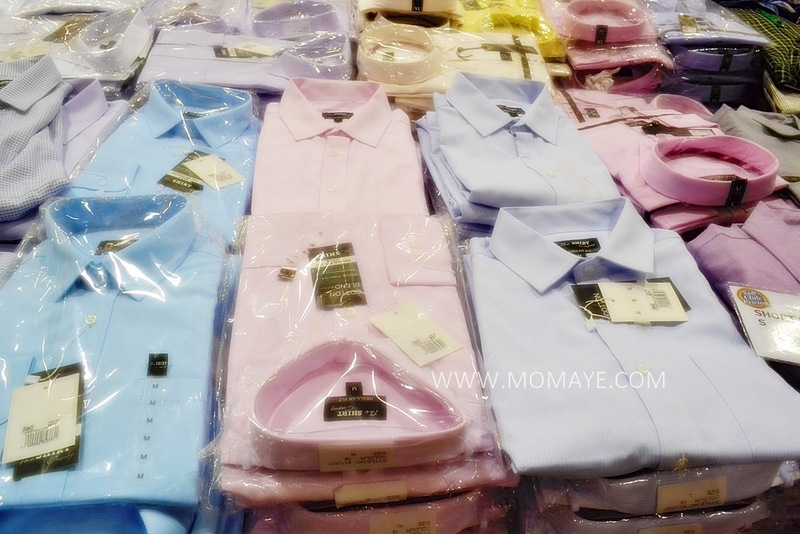 The Shirt Company Men’s Long Sleeves at Php 619.95 each also in light colors. Looks very comfortable to wear right? Bet ko din itong Kirkland Signature Men’s Long Sleeves at Php 849.95 each. Lakas makagwapo nyan, haha! 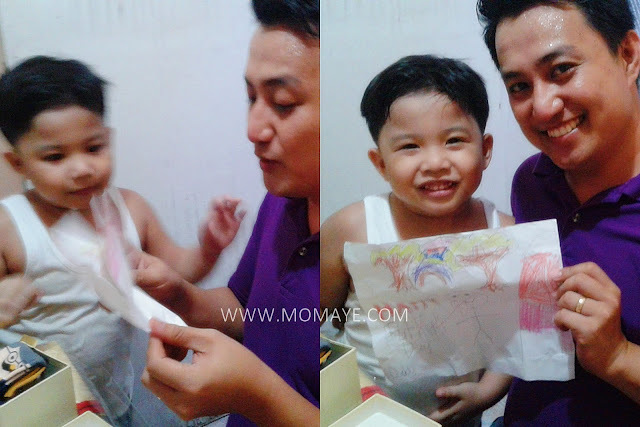 Of course, there are dads naman who loves to wear sando at home. 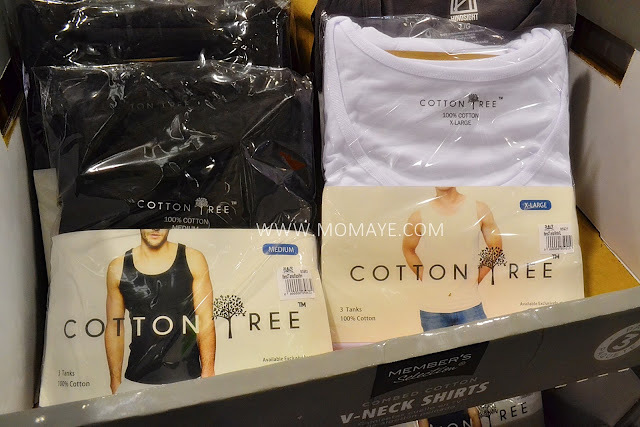 So why not them these Cotton Tree Men’s Round Neck 3-pc white set at Php 299.95/set, while the 3-pc black set is at Php 379.95/set. 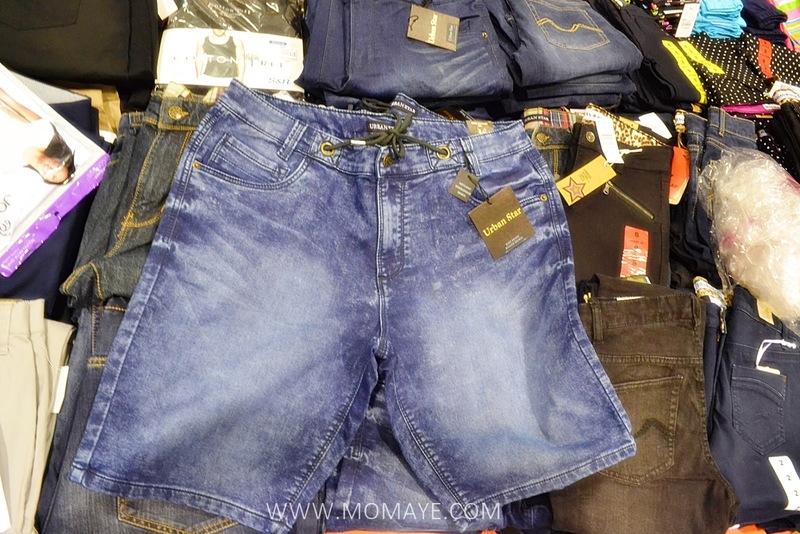 Get them also a pair of Urban Star Jogger Shorts sale at Php 749.95. 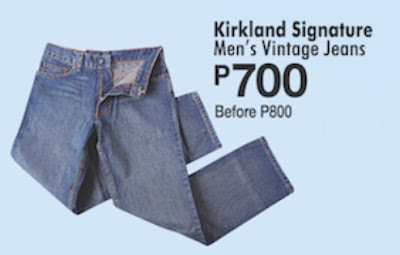 Or a pair of Kirkland Signature Men’s Vintage Jeans at Php 700.00. 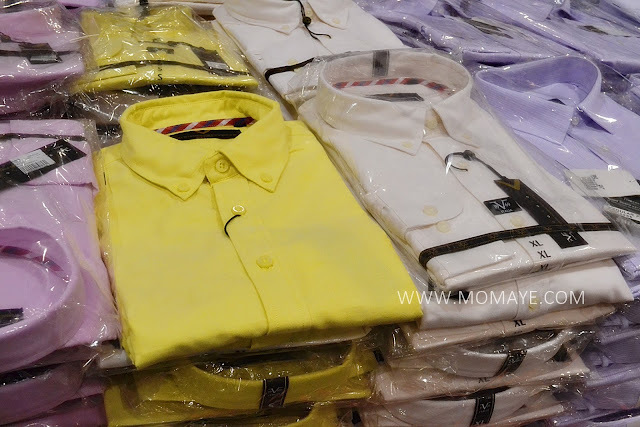 Save 100 pesos from its original price of Php 800.00. 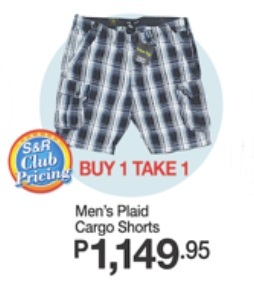 Sale din itong Men’s Plaid Cargo Shorts at Php 1,149.95, buy 1 take 1. 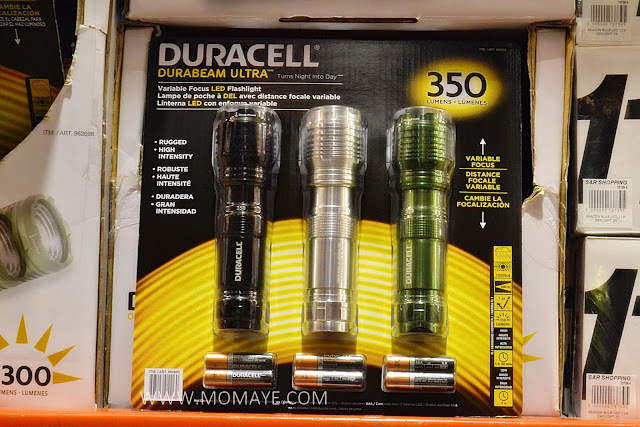 Another great gift for dads is this Duracell 350 Lumens Flashlight 3pc sale at Php 999.95. 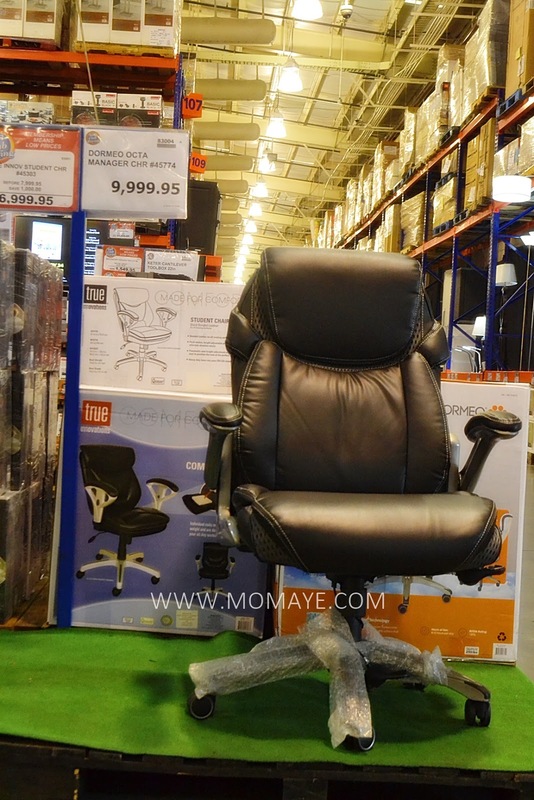 You can save 500 pesos from its original price of Php 1499.95. Flashlight is dad’s must have hindi ba? Anyway, I saw this Hostess Choco Chip/Blueberry Mini Muffins 20ct at Php 399.95, buy 1 take 1! Pwedeng gift din kay daddy f he loves cookies or baon sa school since nagstart na ang klase for most schools. I see to it I have a week meal plan na. At night I prepare the ingredients na so luto na lang in the morning. 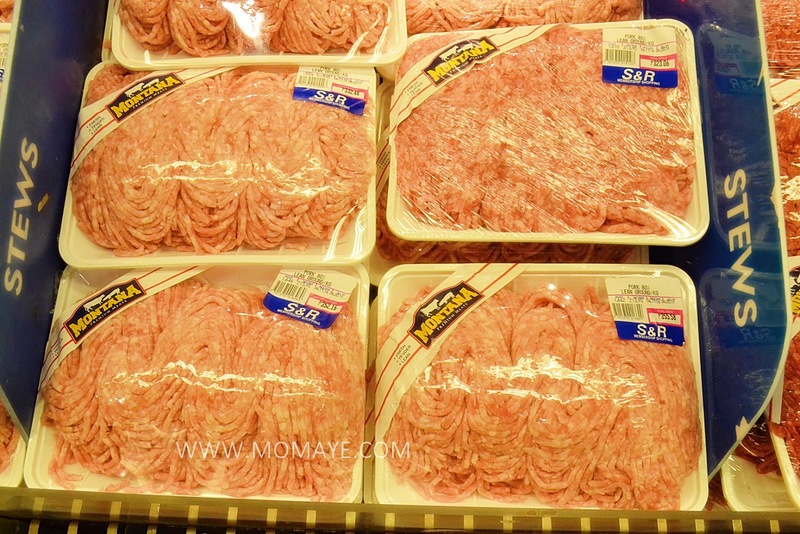 Medyo off topic na, naalala ko lang ang meal plan because I saw this Montana 80% Lean Ground Pork at Php 213.95/kilo. Buy 1 kilogram and you’ll get a free 500-gram ground pork, from June 20-26 only. Great savings right? 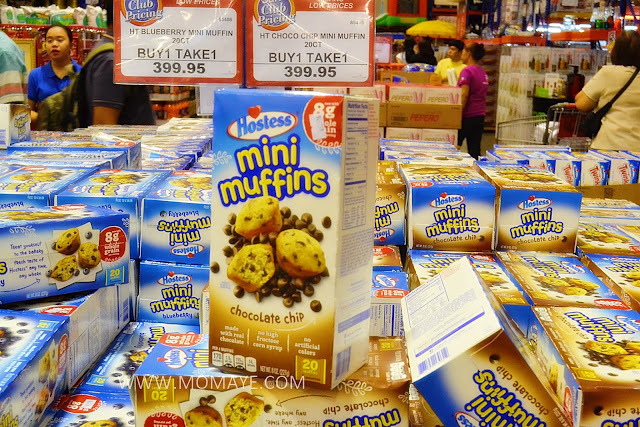 You can save a lot at S&R membership with these club-priced hot buys. So hurry and go to the nearest S&R na. Tomorrow is a special day for all the dads to relax, unwind and feel loved. They deserve a treat for all their hard work, and the love and care they are giving their families. A great way to celebrate this day is a good meal with the family. As always McDonald's help to create this special family moment. Happy Father's Day! 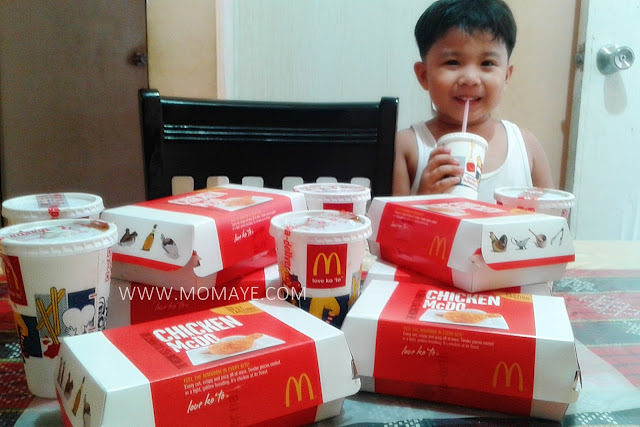 Enjoy your Chicken McMcMcDo meal! 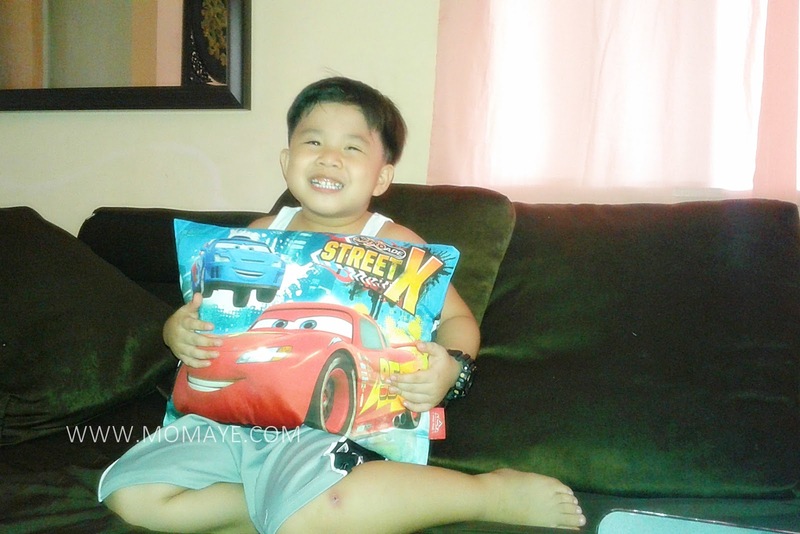 Happy 6th Birthday Matthew Andrei! I have been busy for weeks now. At isa sa pinagkakaabalahan ko ay ang mini party ng aming little boy. Oh yes, time flies! Our little boy turns 6 today. This will just be a quick post so please help me greet our little a happy happy birthday! One day you will read mommy's blog, which is almost all about you. 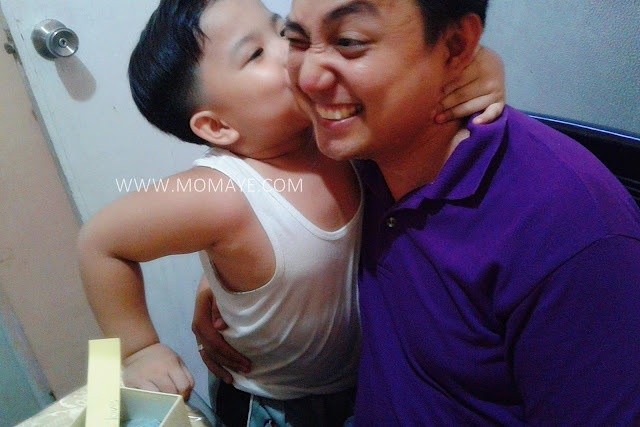 Yes, my life is all about you and you, Daddy and Nanay are my biggest source of inspiration. Sorry if sometimes we are tough on you. Sorry if sometimes we can not give you all our time. I hope you understand that whatever we are doing now, it's all for you. I am seeing you growing to be a very independent boy. Sometimes you may not want any help from us but still you are the sweetest boy I have ever known. May you reach all your dreams and grow up to be a good man. Just always remember that come what may, Mommy and Daddy will always be here for you. We will be your forever number 1 supporter. We love you to bits Anak! P.S. : I will share everything I am busy with in the coming days. Our internet connection is at its worst right now. Please bear with mommy, okay? Mwaah! Students are looking forward to June as the start of another school year. June is also the month for all the fathers, and this weekend we will celebrate Father's Day! Advance Happy Father's Day to all the daddies, tatays, tatangs, papas, itays out there! And of course special shout out to the man of our house, the Chemist Dad. Thank you for making our life easier. We love you so much dear! 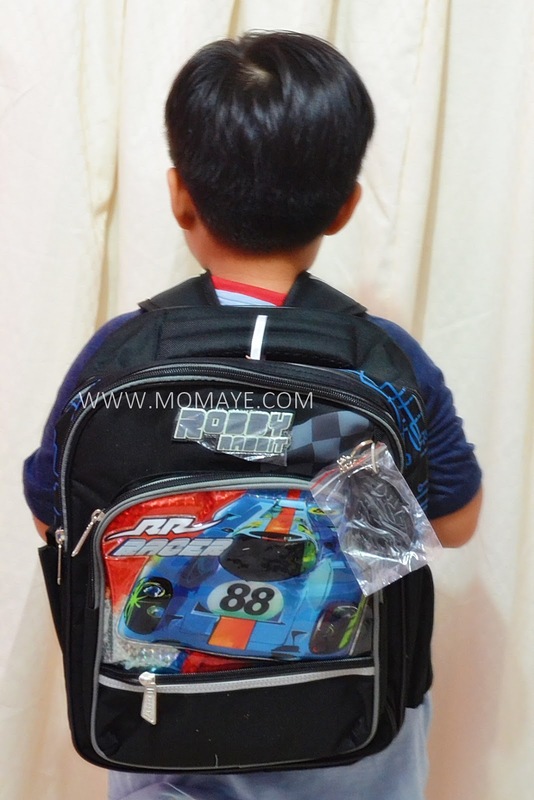 Before May ended, Robby Rabbit sent this surprise for our little boy! 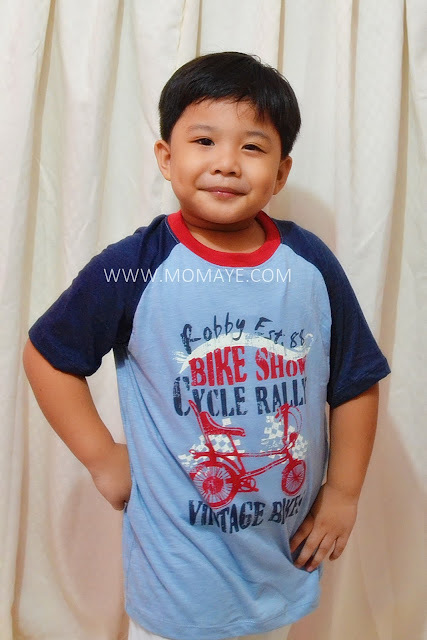 Tamang tama, he will be celebrating his 6th birthday on June 16. 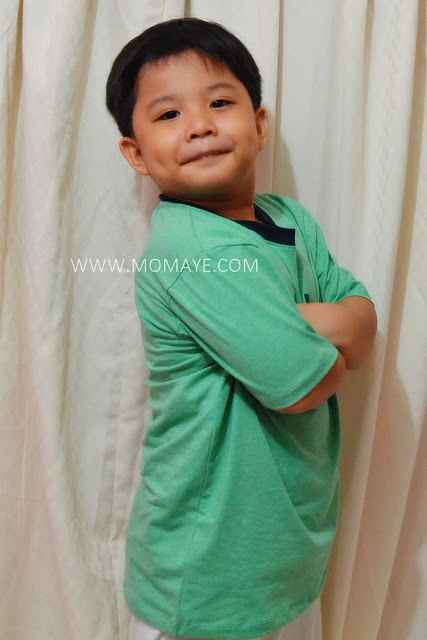 He's willingly and happily pose for Daddy's photoshoot. Ang nice ng tela ng shirt promise. Ang soft and hindi mainit sa katawan. Perfect for Matthew na pawisin. 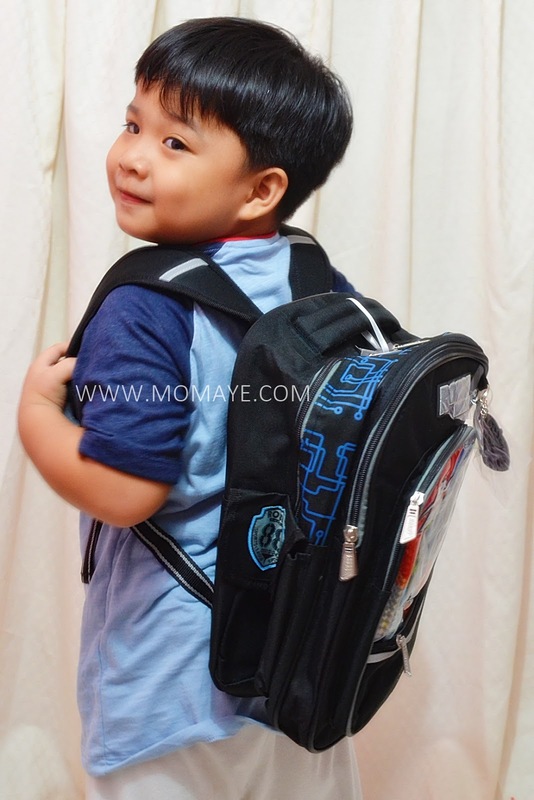 Here naman our chubby cheeks modelling the back pack! Saktong sakto talaga. 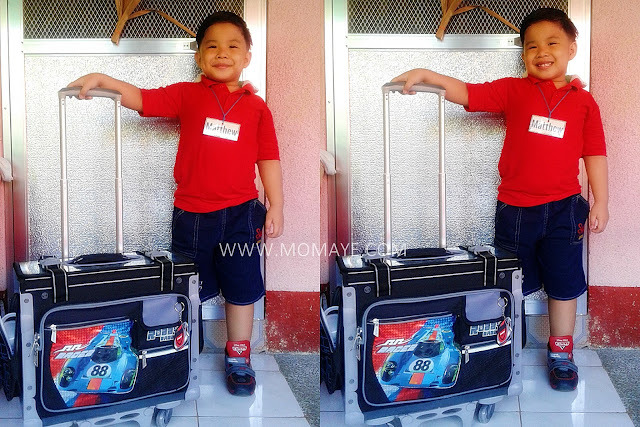 And terno pa sya sa kanyang Robby Rabbit trolley bag. 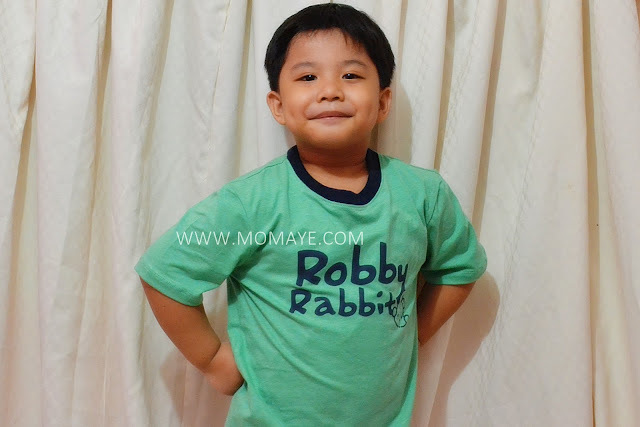 Check out also Robby Rabbit Facebook page for their current promos and events. 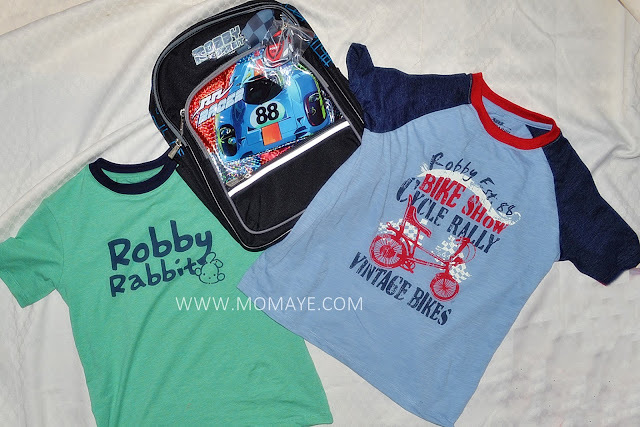 Thank you Robby Rabbit for our little boy's surprise!